I've been promising to show what I've been working on recently but there are only 24 hours in a day and I seem to be trying to squeeze atleast 25 hours into each day. Anyway here is one of the temari designs I've been playing with. 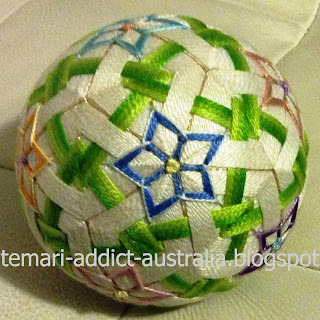 My friend Shirley shared a photo of a temari she wanted us to play with in a workshop, so this was my attempt at reverse engineering it. In this image it is still not completed. Not all of the flowers are outlined and the french knots are still missing on the purple flower. I did go a little off the reservation with this one as the original design had the same coloured flowers all over the surface and I just wanted to experiment with tones. Here it is finished, you can see that not all the flowers looks as tonally successful as others, the outline thread really needs to be much lighter than the main part of the flower. 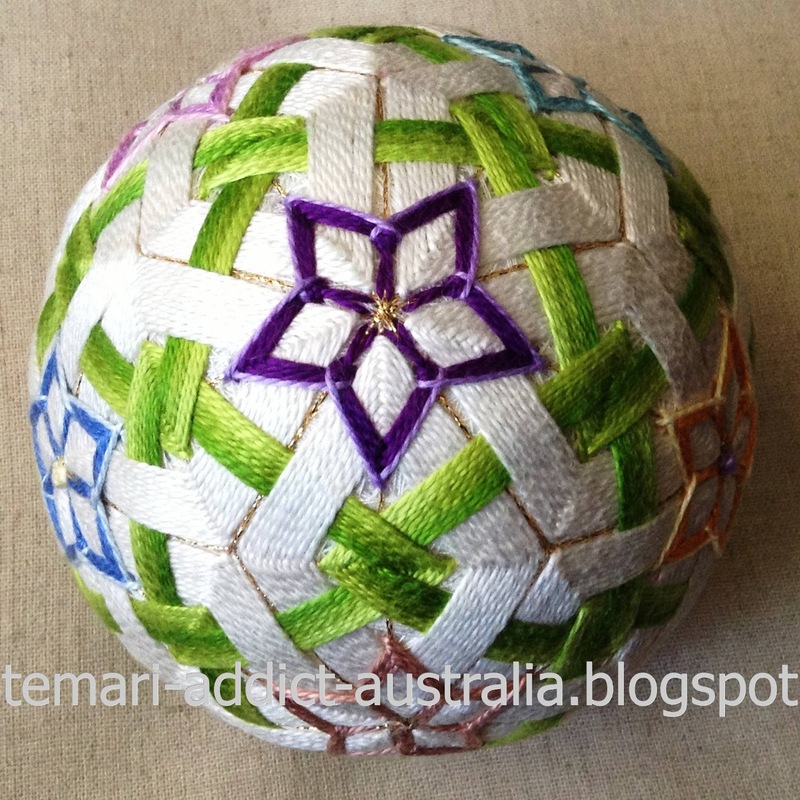 I am currently working on my second in this design but this time I will make each flower the same colour... and I'm using variegated green thread instead of 3 shades of green for the triangles. I like this, love mixing colors and you're able to use up snippets this way. Well done! !